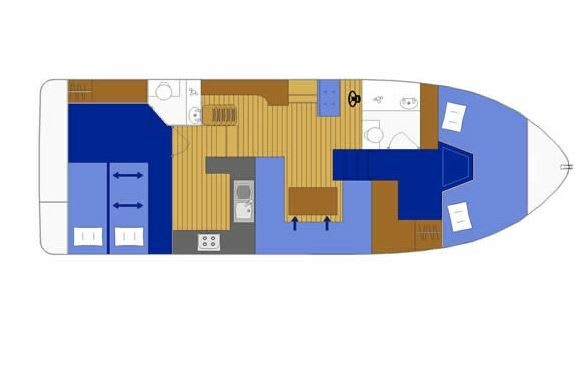 Chief the 36’ cruiser offers comfort to the extreme with two large en-suite cabins. 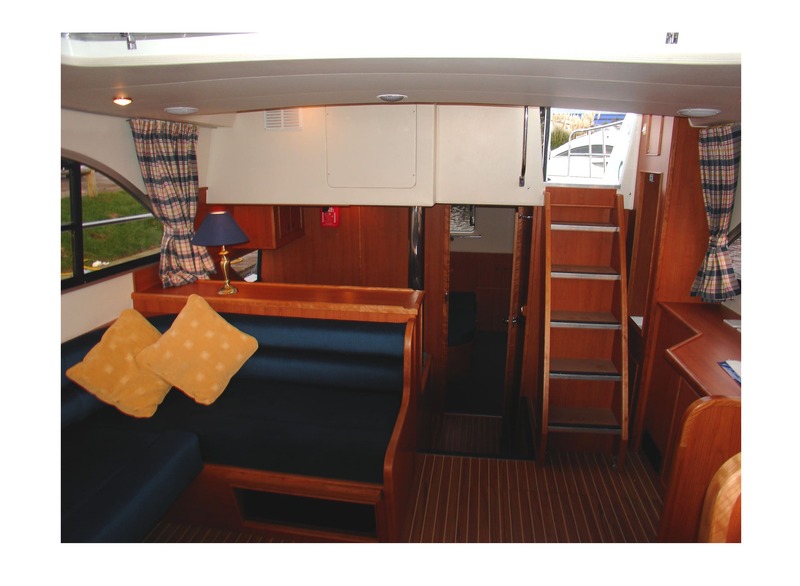 Both the forward and aft cabins are of similar size and both can be a double or a twin. 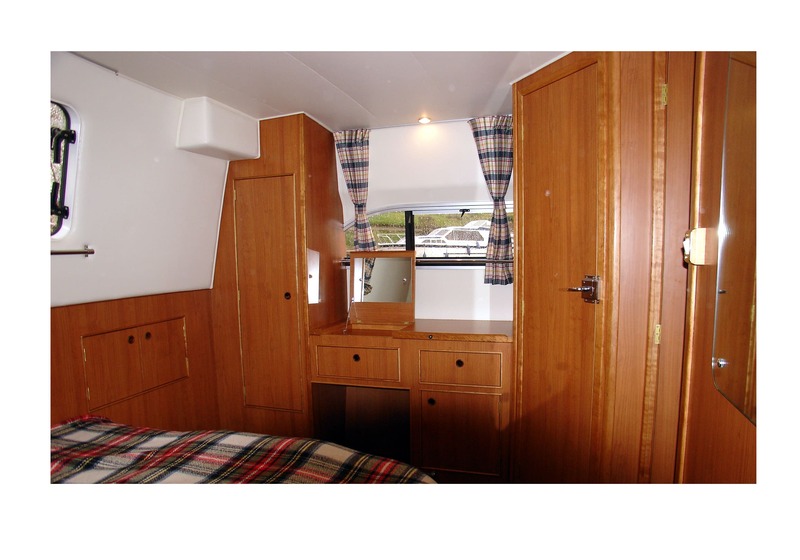 The cabins have extensive storage space and come complete with an elegant dressing table. 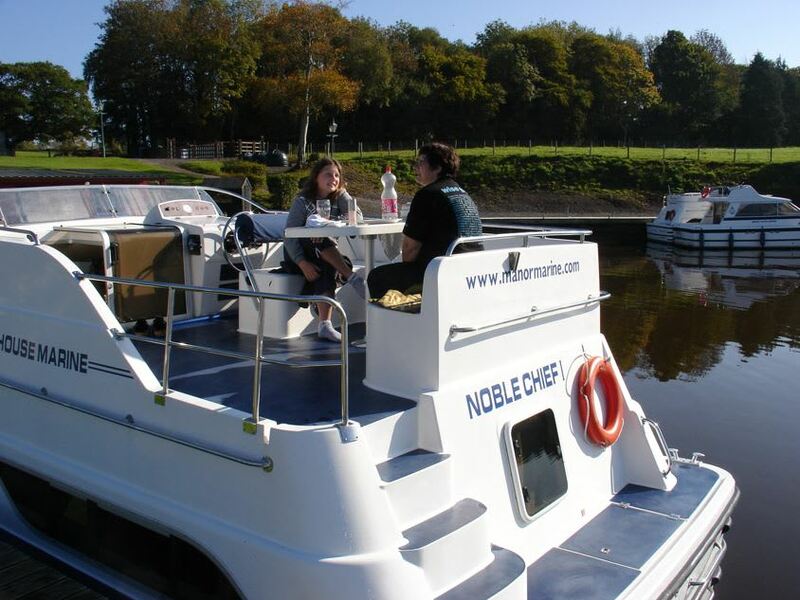 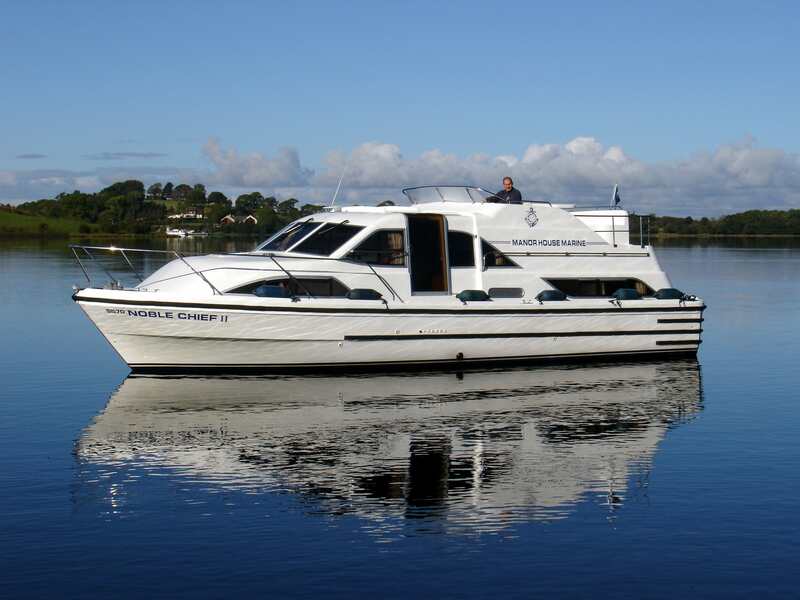 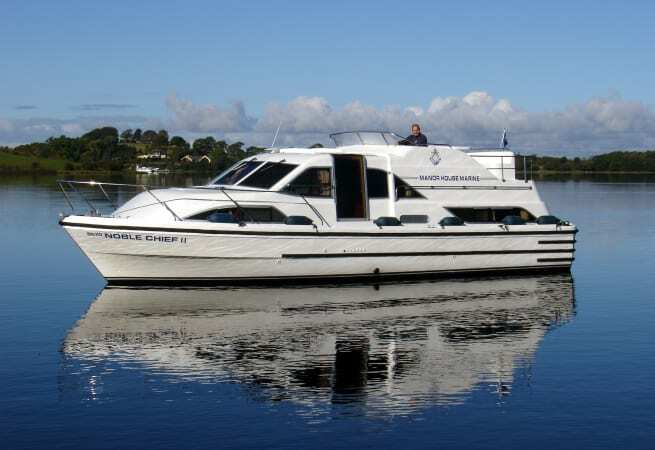 The Noble Chief (4/6 Berth) is ideal for two sets of couples. 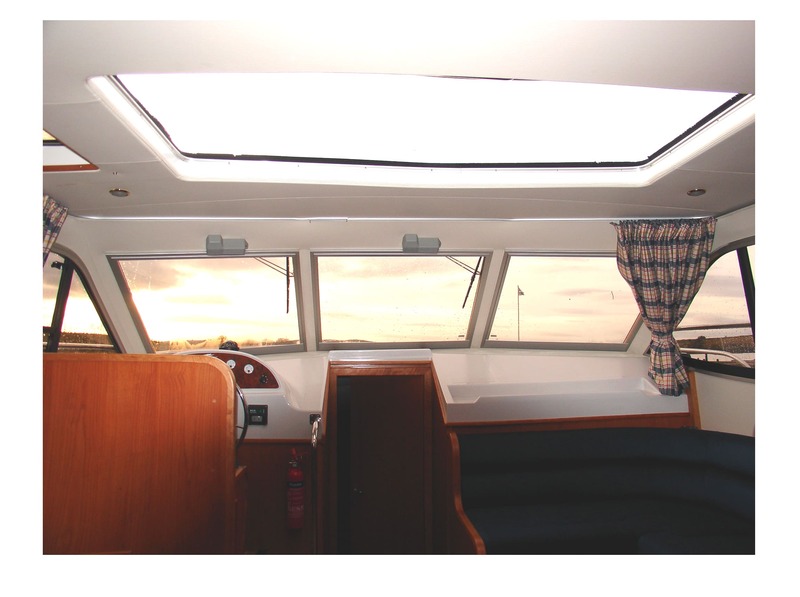 This boat is designed with low decks and a side entrance door to enable easy access in and out of the saloon. 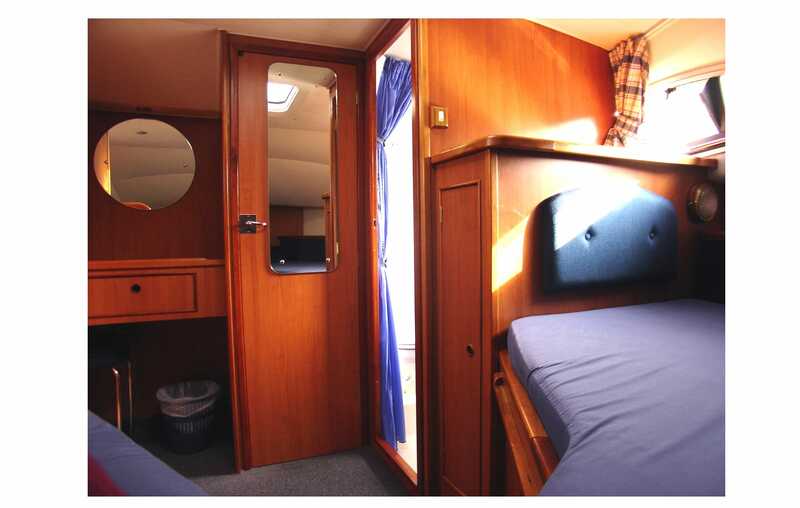 The main saloon has a large sunroof and the seating can be converted to form a large double bed. 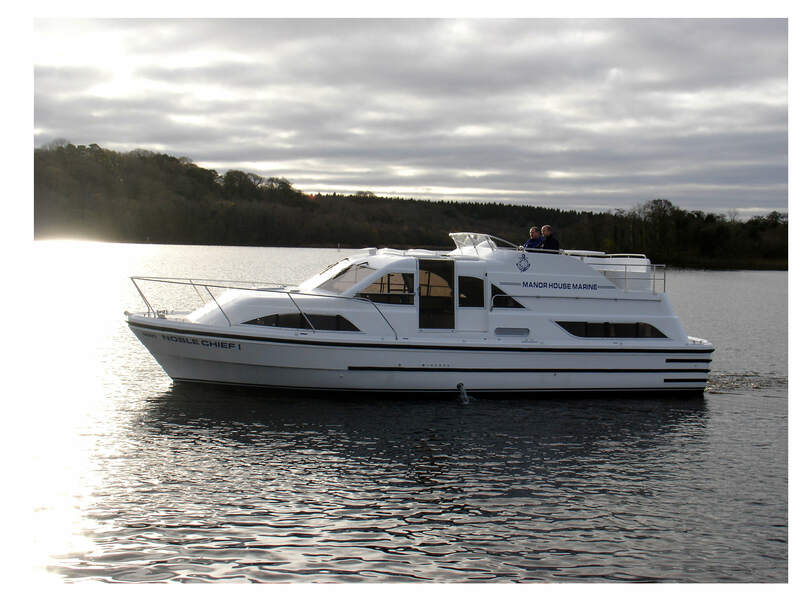 There are dual steering positions (inside and out) and the boat comes with hot air heating, bow thruster, CD player and TV booster antenna for those who like their home comforts. 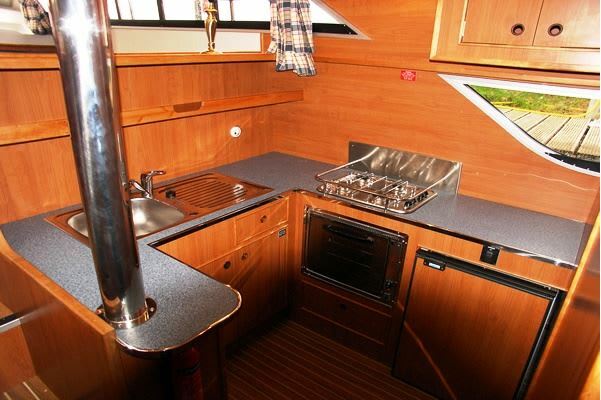 The spacious galley is fitted with a large 120L fridge and self-igniting oven, grill and hob. 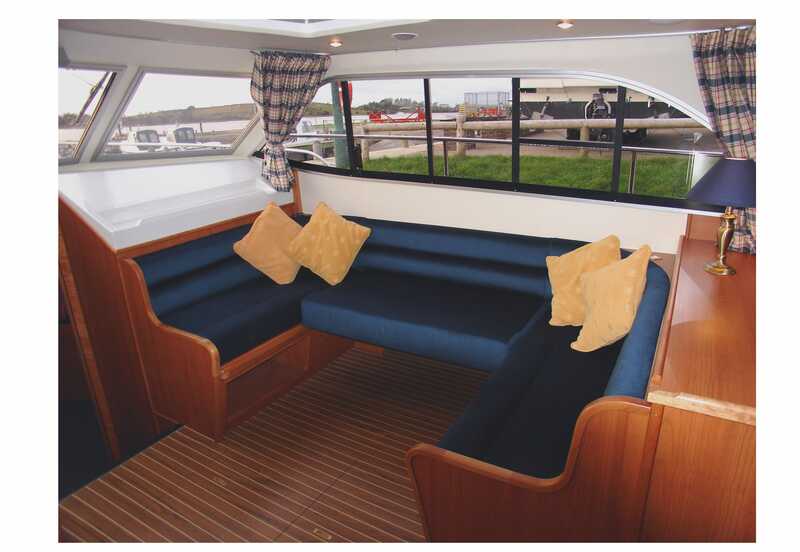 The large sundeck has a reversible helmsman seat that provides seating for all the crew around the outside table.